In 2004, 6.5 million athletes and 800,000 coaches in the United States participated in interscholastic sports, according to the National Federation of High School Association. 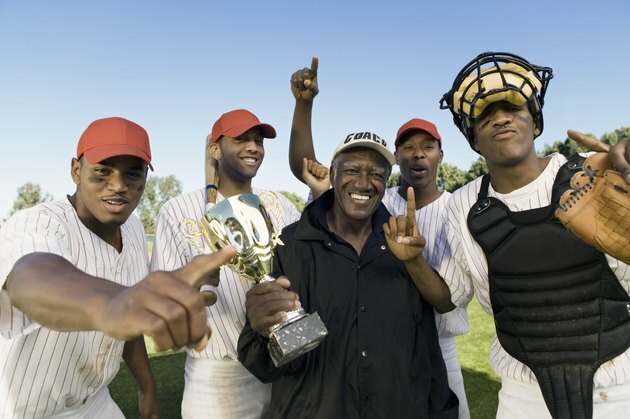 Before coaching high school sports, however, coaches must fulfill certain requirements. Baseball coaches, for example, must have the experience and current certifications along with teaching and scouting abilities. The experience needed to be a high school baseball coach revolves around education and previous playing experience. For example, most high school baseball coaches have a high school diploma or college degree and have coached for several years at lower levels. Previous playing experience and coaching youth league teams gives a high school baseball coach the experience needed to coach high school players. Each state has its own regulations for certifications. For example, the Nebraska School Activities Association requires all head coaches to attend or complete an online rules meeting. These rules meetings cover any new rules or special focus areas for the upcoming season. Some states also require attendance to a clinic, camp or school every two to three years. High school coaches are also required to have a current first aid and CPR certification. High school baseball coaches are commonly certified teachers. Having the ability to teach the fundamental skills and mechanics through various practices and drills ensures that the high school athletes learn the essential skills of the game. To complement the skills of the game, coaches have the ability to teach sportsmanship, competitive spirit and teamwork. Scouting is an essential requirement for high school baseball coaches. The scouting involves researching young players and opposing teams. While scouting opposing teams, a high school coach develops a game plan to counter the strengths and weaknesses of the other team. This also allows coaches to be flexible and resourceful during games. Attending regular coaching education seminars can improve the scouting ability that ultimately increases coaching ability.